Sonny, 65, and Jasmine, 63, are five years away from paying off their mortgage. They’re 2½ years from paying off their car loan. They want to retire, but they also want to make sure they can meet those financial obligations without risking their retirement lifestyle. “We would like to live comfortably and pursue hobbies like photography, gardening, reading and traveling,” says Sonny, 65. The couple, whose names have been changed, have saved $308,000 in 401(k) plans, $150,000 in IRAs, $139,300 in a brokerage account, $407,200 in mutual funds, $51,200 in a money market and $21,000 in checking. Sonny is also vested in a union pension plan that would pay out $4,154 per month based on his life alone, and would have a lower payout if he selected the survivor option, which would give Jasmine income if Sonny died first. The Star-Ledger asked Jody D’Agostini, a certified financial planner with AXA Advisors/RICH Planning Group in Morristown, to help Sonny and Jasmine determine if they’re ready for retirement. “They have cited concerns about whether their retirement dreams are achievable and if there should be some planning surrounding the debt that they still have on their mortgage of five more years and their car loan, which has two more years,” D’Agostini said. D’Agostini says at first glance, the couple’s retirement wishes are on target. But before they take the plunge, they need to ask themselves some more questions about the cost. The couple’s current budget for travel is a modest $3,600 a year, and their other hobbies don’t cost very much. “With more time on their hands, they might see these expenses increase significantly when they have more opportunity to engage in them,” she says. Based on the assumption that they’ll need approximately 85 percent of their current budget in retirement, D’Agostini says they could each retire sooner if they like. The most important factor, she says, is that they have their fixed expenses met by fixed vehicles. 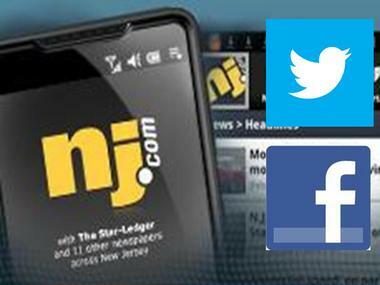 And check out our redesigned mobile siteby visiting NJ.com from any mobile browser. D’Agostini says there is no need for them to pay off their mortgage or car loan ahead of schedule. Plus, the mortgage interest is also a deductible expense, so she says they would be better to keep their assets invested and continue to grow their money. The other expenses are discretionary, or able to be controlled in retirement. In the years when their investments are showing favorable returns, and outpacing inflation, they can take more, she says. That would allow, in the lean years, for them to ratchet down their spending and wait till the market recovers. D’Agostini says Sonny and Jasmine don’t pay much for medical costs today, and in retirement, they will both be Medicare-eligible. They will also have a promised prescription plan for life, but they will need to secure Medicare Part B and a some type of Medigap policy, she said. Even adding those expenses, she says the couple is still on track. A big question is when to take Social Security benefits. Both Sonny and Jasmine reach their full retirement benefit at age 66, but D’Agostini says each year that they hold off, their benefits increase by roughly 8 percent. If they are in poor health, or had parents that died at an early age from poor health, then they might consider taking the benefit sooner rather than later, she says. Their asset allocation currently is positioned toward growth with 73 percent in equities and the balance in fixed income. Based on a risk tolerance questionnaire D’Agostini had them take, they have a moderate risk tolerance, so they should reposition their assets to reflect a less aggressive posture. She recommends roughly 40 percent in equities and 60 percent in fixed income. The couple’s assets are skewed toward large-cap growth, with more than 32 percent of their assets in this bucket. Also, a large portion of their holdings are in individual stocks. D’Agostini says it would be best to establish a well-diversified portfolio. Looking at Sonny’s pension payout options, D’Agostini says Sonny would receive $4,154 based on his life alone, or $3,720 per month for the joint option, which would pay Jasmine even after Sonny dies. Because the average life expectancy has increased markedly in the United States, and there is a good chance of one of them living until the age of 90 and beyond, it would be too great a risk to choose the straight life option, she says.